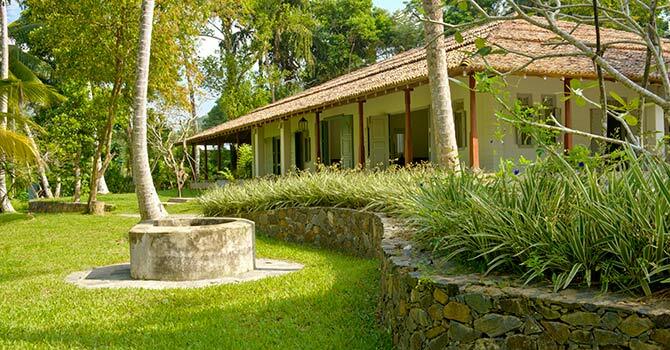 Ivory House villa is a tropical oasis with views over the rice paddies and four comfortable double bedrooms. 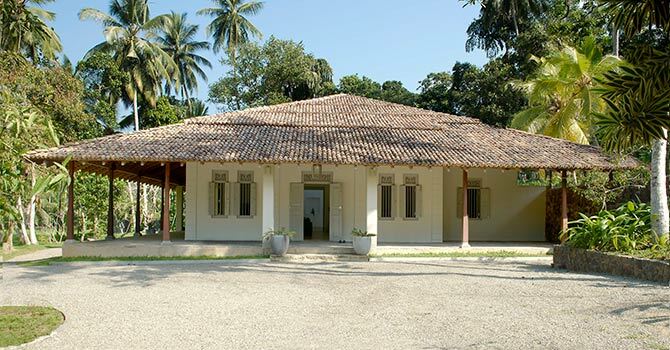 The beautiful villa is fully staffed to ensure a comfortable and relaxing stay. The property is designed in a Dutch colonial style, and has plenty of charm. The living room is under a high ceiling, and features a comfortable sofa and television. There is also a dining room, and contemporary kitchen with modern appliances. Outside, the house’s elevation means you get beautiful views of the paddy fields. 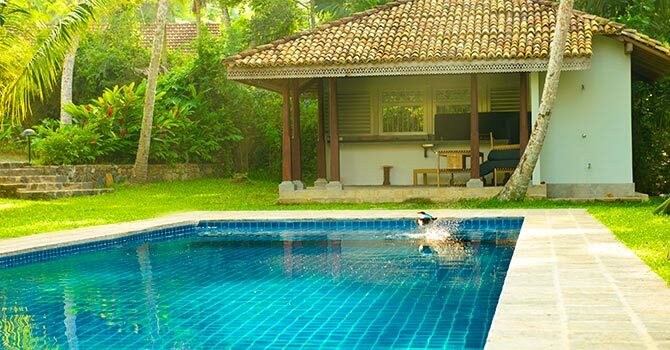 There is also a beautiful tropical garden, with a stunning 20m pool. 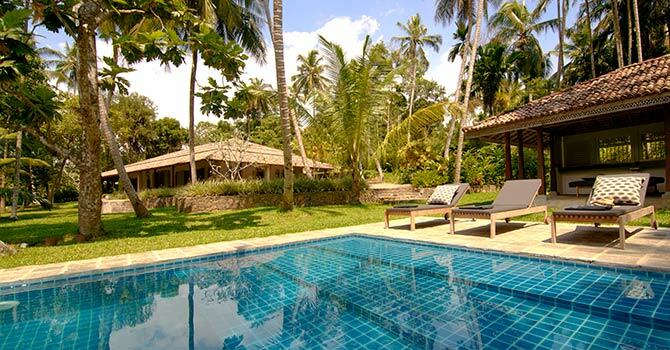 The villa is located close to the hotspot of Galle, in the peaceful and authentic village of Angulugaha.  A short drive or taxi ride will see you arrive in the middle of Galle, with its restaurants, cafes and shops. Koggala Lake and several beaches are also close by. There are also four spacious bedrooms which are elegantly furnished. Two feature king-size four-poster beds, while the other two have sleigh beds. Each also have their own en-suites, including two with outdoor showers. The Master Bedroom also enjoys beautiful view over the rice paddies. 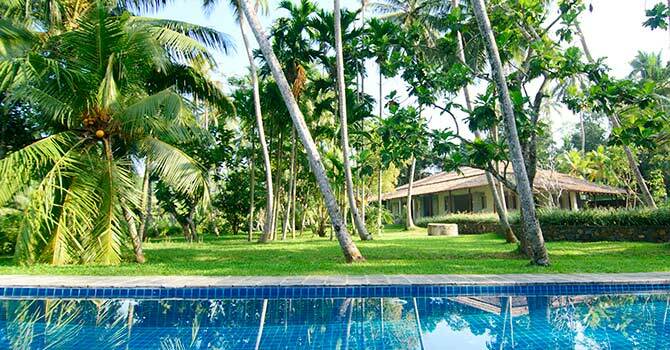 Perfect getaway and base to explore southern Sri Lanka. 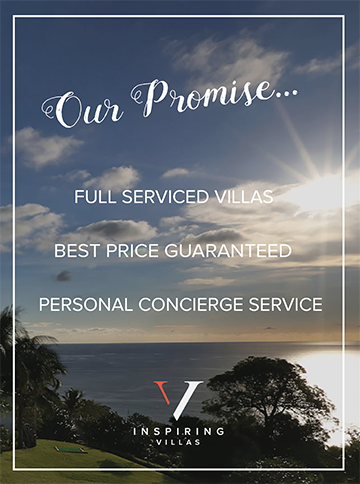 Staff are incredible, food stunning, and the villa and surrounding gardens are absolute picture perfect. Thank you Tony and Paul for a heavenly getaway.